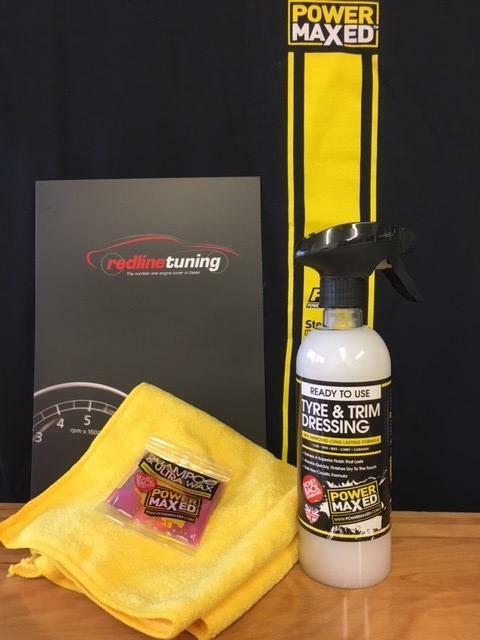 Power Maxed Tyre & Trim Dressing 500ml + Free Complimentary Micro fibre Cloth and Shampoo & Ultra Wax Sachet. Power Maxed Tyre and Trim Dressing restores your tyres and trim to a natural sheen making old rubber and plastic look new again. The more layers you use, the richer ad deeper colour you get.